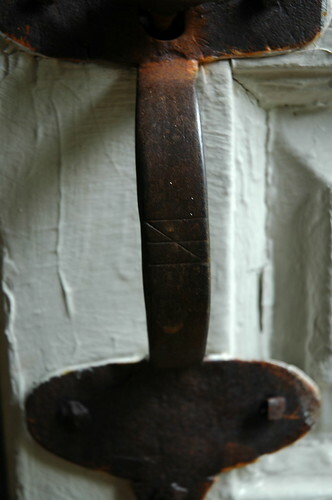 Years ago, I wrote an article about The Salem Cross Inn in West Brookfield, Mass., named as such for the mark on its front door handle — a hexmark, also known as a Salem Cross. 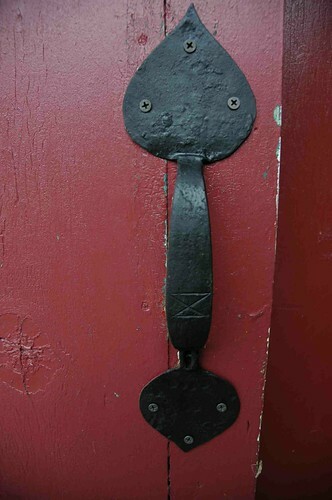 Hexmarks were placed on doors across New England during the Salem Witch Trials, as a way to ward off evil spirits and the government, unless that’s redundant. Here we go — my favorite post of the year! The annual round-up of all the weird things I can find happening in the culinary scene during the witching season. This post always takes a different turn, and this year, it’s a decidedly do-it-your-damn-self kind of list. Take, for instance, the Skeleton Table trend. A few years ago, it was all about Meatheads, but this takes the undead party-platter idea a few femurs further by filling a skeleton’s rib cage with delicious fixin’s. 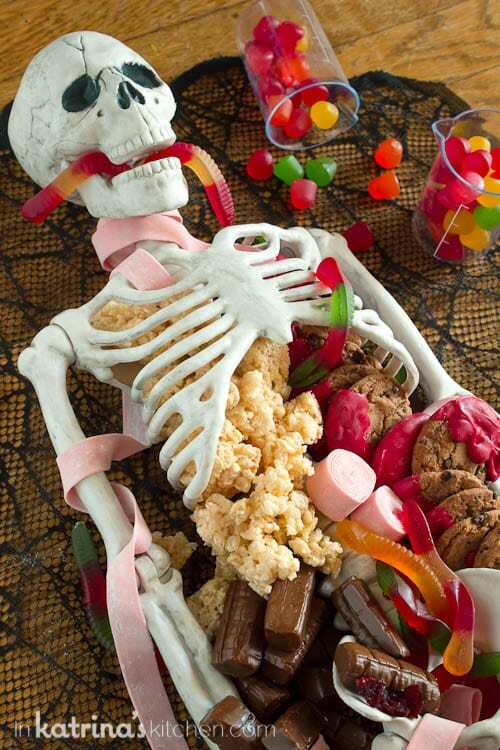 In my research, I found appetizer corpses, dinner bladders, and gut-busting desserts, all laid out in situ. Thanks for sticking with me through the puns there. The trend of black or blackened foods has come up here before, but never before have I stumbled on something so beautiful as Daniel Gritzer’s Halloween Ramen Bowl. It’s right in the pocket of what I love to write about this time of year — not kitsch, but pure yumminess of the season. Plus, his post lead me to a few other ‘Halloween Ramen‘ recipes, including a pumpkin ramen, Hell Ramen, and Dracula Ramen. 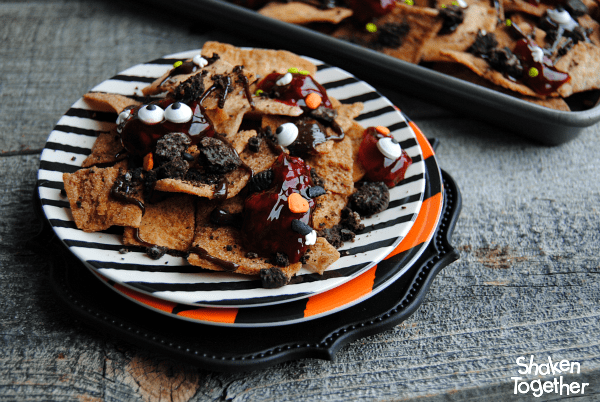 Another hot take on party food I’ve seen recently are Zombie Nachos — especially of the dessert variety. A little cinnamon, a little sugar, a drizzle of raspberry pie filling, and bwa-ha-ha-la. Of course, if you’re more a fan of the savory undead, there are several more appetizer-centric versions of the zombie nacho platter. There’s never a shortage of creepy cocktail ideas this time of year, and it can be hard to pick just one out of the endless recipes for embalming fluid, witches brew, and pumpkin punch. I thought this sipper looked pretty smokin’, though (sorry, sorry), with a dash of gothic literary charm: the Sleepy Hollow Cocktail, featuring absinthe, Angostura bitters, and a sprig of rosemary set to smudge. This (frankly delightful) blog also has a Raven cocktail and another called Nosferatu’s Blood, for those looking to make a night of it. But I also found a few other Sleepy Hollow drink recipes, plus an Ichabod Crane, so I this may be a head-start on a great themed party.